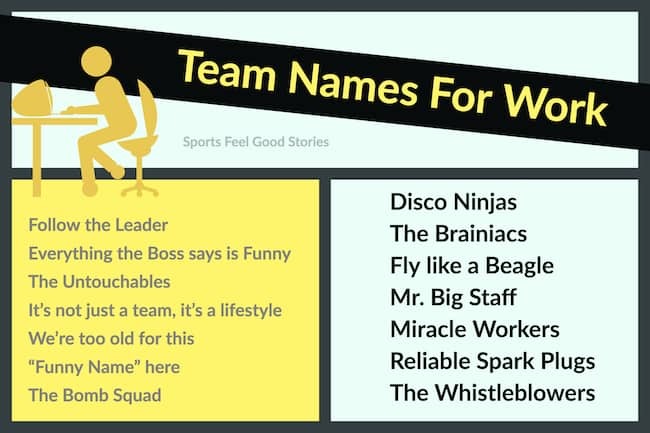 This team names for work collection comes in handy when you’re trying to find a rallying cry for a work event. As an example, maybe there’s a departmental challenge and groups are organized by department. Check out all of these choices and the menu at the bottom. Everything the Boss says is funny! No Chance at our Number. Who do you think you are Mr. Big Staff? Out of the Cubicle and into the Fire. It’s a 5 O’Clock World. The A Team; Not F Troop. We put the “action” in Traction. 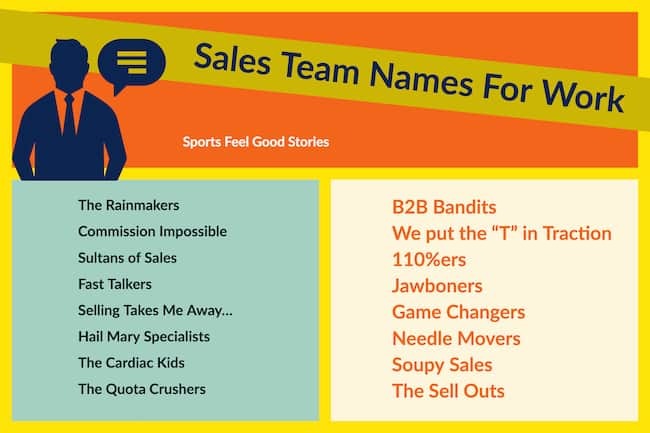 Team ABC (Always Be Closing). We recognize talent when we see it. FILO – first in, last out. Life in the Math Lane. 3 Balance Sheets to the Wind. We’ll Geek Up on You.